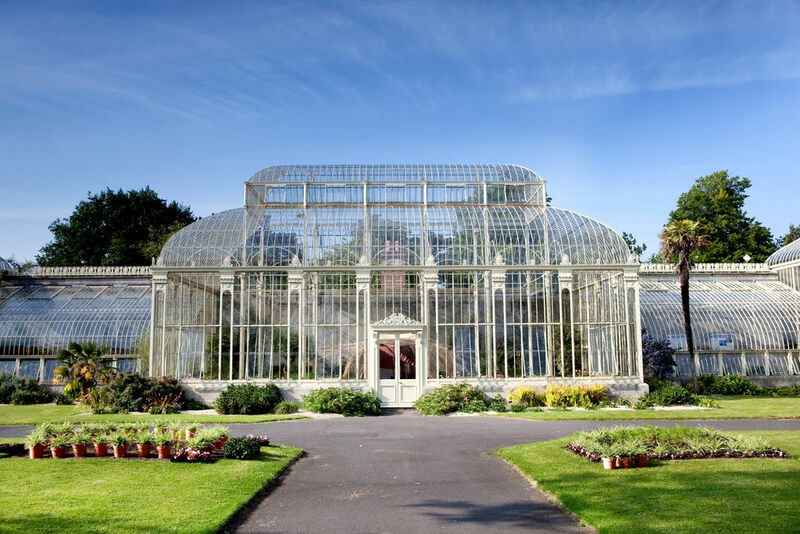 The gardens were established in 1795 on an attractive 48-acre site beside the Tolka River. The splendid Victorian glasshouses include the Curvilinear Range (1843-69), designed by Richard Turner, and the Great Palm House (1884). There is a delightful walk along the river bank from the rose garden, past the peat garden and the bog garden to the arboretum. The specimens in the rock garden, cactus house and fern house are among the 20 000 species grown here.